B4 is a tube headphone amplifier, the sound feels warmer than transistor products. It has built-in battery protection circuit. It powers off automatically after fully charged , and the charger LED will turns to green. B4 is a tube headphone amplifier, the sound feels warmer than transistor products. It has built-in battery protection circuit. It powers off automatically after fully charged , and the charger LED will turns to green. Can realize the use of human intelligence. Else . When you charging the battery. This B4 amplifier can not turn ON until you pull out charger interface. because we design it work like that, just make battery safe. 1. 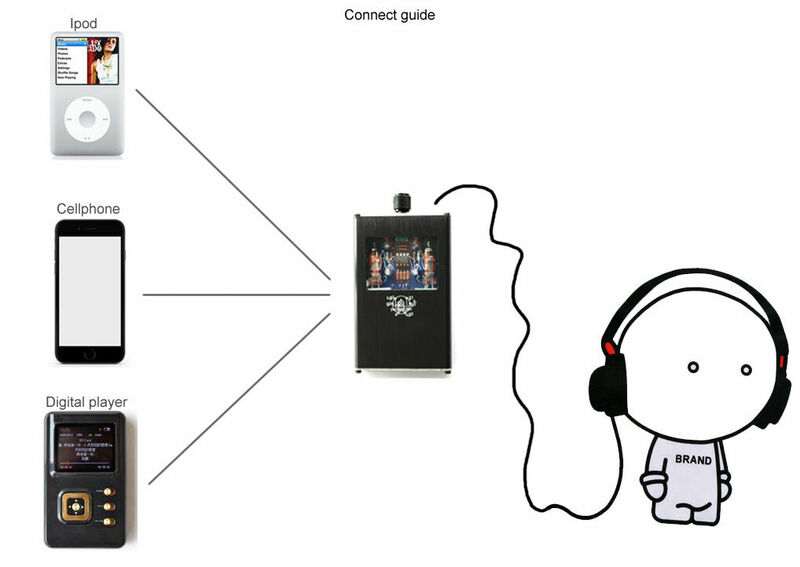 .Ipod / Cellphone / MP3: connect to B4 INPUT socket by 3.5 to 3.5 audio cable. 2. .Switch & volume control share the same knob: Please rotate the VOL Knob to the left, then plug in your Headset / earplugs to HEADPHONE socket. 3. .Turn on your media player, and tune VOL knob from left to right till the volume is suitable. 4 .Turn off: When you do not want to listen, please take off the headphone, turn down the volune till the machine is powered off. when you using B4 with your cellphone, if you fell some "zhi ~ zhi" noise into your headphone That's usually the cellphone effect it Sometimes, it's cellphone WIFI, or 4G signal effect the tube Then the noise into the sound... . That's normal. Because all tube with some microphone effect case. Solve way is. just move your cellphone as far as possible from the B4. TOP HiFi Original DALE resistors.